2018 is our 21st Year! Cowboy Action Shooting™ is a shooting sport created in 1982 by a few gentlemen now know as the Wild Bunch. In 1987 they officially formed the Single Action Shooting Society (SASS). Originally based in Yorba Linda, California, SASS eventually moved their operation to Founders Ranch in New Mexico. SASS is the largest and most widely accepted organization for western style shooting. The Damascus Wildlife Rangers are SASS affiliated and we use SASS rules. We are sponsored by the Wildlife Achievement Chapter Inc. of the Izaak Walton League of America. All of our proceeds are donated to the Izaak Walton League. The sport recreates life in the old west through shooting courses of fire (called stages) designed to depict a movie scene, an old west historical shootout or just someone's idea of how it may have been in the late 1800's. For obvious safety reasons, it is highly recommended that shooters a have previous shooting experience and be familiar with the safe operation of single action revolvers, rifles and shotguns. A Cowboy Action Shooting competition is not the venue to receive your initial firearms training. To add to the "fantasy" experience, all shooters are required to wear some form of period dress. Typically, long pants (or dresses for the ladies), boots, cowboy hat and shirts with long sleeves. No shorts, ball caps or advertising is permitted on any clothing. For firearms, you will need two single action pistols, a lever action rifle (in a pistol caliber) and a side by side shotgun (without ejectors) or a Winchester model 1897 pump shotgun (or reproduction) with an exposed hammer. Guns generally must be designed prior to 1900 but modern versions like the Ruger Blackhawk & Vaquero or Colt clones are acceptable. You will need holsters and a carrier for shotshells. All bullets are lead only and have feet per second requirements. But, most importantly, you will need and Alias! Pick a name that fits your personality, job, chosen western character or one that just sounds good. If you join SASS (we highly recommend that you do), they will issue you a badge (with your personal SASS member number) and register your alias. Your alias is unique to you and is never duplicated. Be prepared to change your original choice for an alias, it may have already been taken. Joining SASS or the Damascus Wildlife Rangers is not a requirement to shoot in our monthly matches. However, SASS membership is required for SASS sanctioned, state level and above, matches. As you participate in the sport you will learn there is a rule called "The Spirit Of The Game. This rule is the foundation of Cowboy Action Shooting. "The Spirit Of The Game" signifies that we are participating for FUN. Because there are no prizes for winning a match, the incentive to play is FUN. If you are willing to sacrifice FUN for a victory, then this is not the game for you. The only prize is to have bragging rights over your pardners until the next match. Complete SASS Rules are available in one of their SASS Handbooks. If you are interested in participating, the best way to learn more is by visiting the SASS web site and going to watch a Cowboy Action Shooting monthly match or two. All clubs welcome visitors and are eager to explain what is involved. Bring eye and ear protection. You will find that Cowboy Action Shooters are the friendliest folks on the planet. Because we all share a fondness for the old west and the firearms of the time, we have an immediate bond that expands into long term friendships. For additional information contact the Single Action Shooting Society 1-877-411-7277 or Maryland Territorial Governor Chuck Crooks AKA Chuckaroo 301-831-9666. Thanks to the dedicated efforts of Tennessee Slim and Martin Blake, aka Wingdinger, the Cops & Cowboys matches that have been held by the Thurmont Conservation and Sportsman’s Club, by the Thurmont Rangers, and the originating club, the Potomac Rangers, have all been a resounding success. So much so that many of the participants have asked for additional opportunities to participate. Well, their wishes have come true and a second match will be scheduled soon, at the Wildlife Achievement Chapter of the Izaak Walton League of America and the Damascus Wildlife Rangers will play host to another Cops & Cowboys match. The Cops & Cowboys, Southern Edition #2, will be held at our Wildlife Achievement Chapter of the Izaak Walton League of America located at 26430 Mullinix Mill Rd, Mount Airy, MD, 21771. The match will consist of 6 courses of fire, three will be police oriented and three will have a cowboy theme. The match fee is $25 and includes a prepared lunch and engraved shooters badge. There are only two categories, Cop and Cowboy, and a plaque will be awarded to the Top Cop and the Top Cowboy of the match. All entry fees will be donated to an organization that supports the widows and children of police officers and firefighters that have fallen in the line of duty, this year it will be Hero’s Inc. The rules are simple, Be Safe and Have Fun! Cowboys will use their single action revolvers, a shotgun (side by side, pump, or lever action) and a lever action rifle in pistol caliber. All cowboy guns must meet SASS (Single Action Shooting Society) regulations. LEO’s can use firearms typical of their profession, a pistol or revolver, service type of rifle (no steel core ammo! ), and a service shotgun. No race or modified “competition” firearms. Cowboy dress is required by all Cowboys and some form of police, swat or correctional officer clothing is required for LEO’s. For more information, contact Dogmeat Dad by E-mail at CMLimparis@Compuserve.Com and please reference Cops & Cowboys in the subject line. Our Match Scores section now has every score from every match we have ever had with the Damascus Wildlife Rangers. That includes scores from our very first match in March 1998, to present. It is interesting to see how the categories have increased, and how many more ladies and youngsters are participating. The Damascus Wildlife Rangers Stages Are On The Web! Those that have been looking at the next months stages are certainly aware that we have been looking at the same stages almost all year. Due to our continued bad luck with the weather, we have had to regroup each month, with new stages at the last minute. Therefore, I will start posting stages the WEEK before instead of the full month. Look for the next months stages in time to get ready for this months match. March 23, 2019 . The Damascus Wildlife Rangers has a large, optional, e-mail list that is used to inform its members and participating non-members about Cowboy Action Shooting news for our club and other clubs in the area. Information about Cowboy Action in the Maryland, Virginia, West Virginia and Pennsylvania areas will be sent out weekly, as reminders of upcoming events and activities. The subject title will be in ALL CAPS and it will be obvious that it is from us. The weekly reminders will be titled, "COWBOY THIS WEEK." All addresses are hidden, except for the recipient, and the list is not used for any other purpose. It is not used to broadcast junk mail or items not associated with the sport of Cowboy Action Shooting™. If you would like to be added or deleted from the list, please e-mail Chuckaroo and request to be "Added or deleted" from the "Cowboy E-mail" list. Care is taken to enter the e-mail address that the shooters place on their match registration forms. Unfortunately, some addresses are incorrect, or unreadable. If an address is returned, as undeliverable two times, it will be deleted from the list. This includes "full" mailboxes more than three times. If you are not getting weekly reminders about upcoming shoots and events, please submit your address again via e-mail. Many corporate and government servers do not allow incoming bulk bail, (like our mailing list) and they will block them. If you are not getting mail from us, at least one a week, the odds are it is being blocked by your employer. You are better off using a home E-mail address for uninterrupted service. The Wildlife Achievement Chapter Inc., of the Izaak Walton League of America, in Damascus Md., is the host club for the Cowboy Action Shoots. Being a member of this Izaak Walton League is not a requirement for participation in the regular shoots however, we are open for new members. SASS Rules (Single Action Shooting Society) apply to all shoots and new Cowboy shooters are welcome to join in on the fun! You must be in costume! No Sneakers or ball caps allowed. We will maintain the "Spirit of the Game." The undeniable attraction to the sport of Cowboy Action Shooting is participating in a group shootin' activity where winning is not the main goal. Having fun, shootin' old time shootin' irons and razzin' your fellow pardners is really what it's all about. If you are the type that is willing to sacrifice fun for a victory, then you haven't embraced the "Spirit of the Game" and should consider a different form of shooting competition. Remember the motto " No target is too close or so large that it can't be missed " and the slogan " It's not how good you shoot, it's how good you look shootin'. " This match is by pre registration only and requires that all shooters are current SASS members. All other regular monthly matches are the fourth Saturday (March thru November). Registration starts at 8:00 AM and closes at 9:15 AM (promptly), the mandatory safety meeting is at 9:45 AM and the shoot begins at 10:00 AM. You do not have to be a member of the Izaak Walton League or SASS to participate in a monthly match. (The State Championship requires SASS Membership). Members of the Wildlife Achievement Club Chapter of the Izaak Walton League of America are automatically members of the "Damascus Wildlife Rangers". The monthly match cost to members is $5.00 and non-members $10.00. For vendors, we have free outdoor vendors spaces on a first come first serve basis. Vendors, contact Dogmeat Dad for additional information. Lunch, for a nominal fee, will be available on Saturday and prepared by our Boy Scout Troop 945. Set up will be the Friday before each match at 1:00 PM, please help with set up if you can. The IWLA-WAC rifle and pistol ranges will be closed from set up on Friday at 1:00 PM through clean up of the match on Saturday around 4:00 PM. Visitors are welcome at all matches at no charge. You do need to bring ear and eye protection. No visitor pets are allowed. All shooters and spectators are required to use ear and eye protection. If you are not sure of the rules, contact Dogmeat Dad BEFORE the match date! Participants must have cowboy hat, boots, long sleeve shirt, long pants, proper firearms, holsters and an Alias to be able to shoot. No sneakers, ball caps or clothing logos!!! All matches are held Rain or Shine. We follow SASS Rules and their "Spirit of the Game." All SASS Rules are in the SASS Handbooks available on line. This is not the sport to learn how to shoot a firearm. rifles and shotguns BEFORE attempting to participate in a Cowboy Action Shooting™ match. It is a good idea to verify shoot information with the club contacts provided, or by checking their web site. please bring ear and eye protection. Some clubs have rules against visitor pets. Please check with the club contact before bringing your pet to a match. All matches are rain or shine, unless noted. Regular Shoot Dates: 1st Saturday of the month from April thru November. Food: Lunch is included in shooters fee, and it is a good one! Registration: 8:00 AM to 9:15 AM. Safety talk is 9:30 AM. Annual Match: July is the PA State BP Championship "Smoke N Fire"
Annual Match: "Cow Camp" in September. 3 day event and includes a "Cow Camp" with camping on Friday. Range Location: Ickesburg Sportsman's Club in Ickesburg, PA. Contact: Tuscarrora Slim call 717-789-3004 for additional information. Registration: $15 08:00 - 9:15 AM, safety talk at 09:30 AM. Range Location: Delmarva Sportsman's Club, 816 Sudlersville Cemetery Road, 1 mile north of Sudlersville, MD. Regular Shoot Dates: 1st Sunday of the month, March (weather permitting) through November. Registration: 8:00 AM to 9:30 AM. Safety talk is 9:45 AM. Range Location: The Hollidaysburg Sportsman's Club, Hollidaysburg, PA. Contact: Hattie Hubbs. See web site for additional contact information and directions. Regular Shoot Dates: 1st Sunday of the month from March through November. Registration: 8:00 AM to 9:15 AM. Mandatory safety talk is 9:45 and the fun starts at 10:00. Range Location: Thurmont Conservation and Sportsman's Club, Thurmont, MD. Registration: Sign up starts at 5:00, mandatory safety talk at 6:45, and fun starting at 7 PM. Range Location: NRA National Headquarters in Fairfax, VA., an indoor range. and then take in a challenging cowboy shoot. Registration: 8:00 AM to 9:00 AM. Safety talk is 9:45 AM. Registration: 8:00 AM to 9:30 AM. Mandatory Safety Talk at 9:30 AM. Registration: $15 8:00-9:00. Safety talk is at 9:15. Regular Shoot Dates: 2nd Sunday, March through October. Registration: March thru October, 9:00 AM to 9: 45 AM. Safety Talk is 9:45. Shooting starts at 10:00 AM. Range Location: Monocacy Pistol Club, Frederick, MD. Contact: Chuckaroo 301-831-9666 for additional information. See web site for schedule and directions. Additional Information: These matches are held as a "Relaxed" cowboy shoot. Dress for the weather. All gun handling must be done in the shooting bays; guns shall not be uncased in the MPC parking area. Extra Shoots: April - True Grit, July - Wild Bunch, September - True Grit. Contacts: RJSS club questions contact Chuckwagon Sam 724-626-2001 or our TG The Vegas Kid. Regular Shoot Dates: 3rd Saturday of the month, March thru November. Regular Shoot Dates: 3rd Sunday of the month, March through October (November if the weather lets them). Regular Shoot Dates: Every 3rd Sunday all year long. Club Name: Damascus Wildlife Rangers in Damascus, Md. Regular Shoot Dates: 4th Saturday of the month from March thru November. Registration: 8:00 AM to 9:15 AM. Safety talk is 9:45 AM. Annual Match: August is the SASS Maryland State Championship "Thunder Valley Days." Range Location: Izaak Walton League near Damascus Md. See web page for directions and a map. Registration: 9:00 AM to 9:45 AM. Safety talk is 9:45 AM. Range Location: Near Berkley Springs, W. VA.
*April 28 is a Wild Bunch and Cowboy match. Registration: Registration is from 9:00 AM to 9:45 AM, Mandatory safety meeting at 9:45 AM. 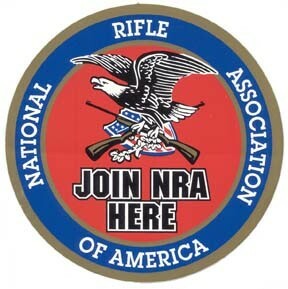 Range Location: Northern Virginia Gun Club near Fredericksburg, VA.
Club Name: "Bend of Trail"
Registration: Begins at 9:00 AM and safety meeting is at 9:30 AM. If you would like to change your clubs listing or have your club added to the above list, contact Chuckaroo. SASS Listing of Worldwide Affiliated Cowboy Action Shoots. The Damascus Wildlife Rangers and their host range, the Wildlife Achievement Chapter Inc. Of the Izaak Walton League Of America, has a few additional range rules. Any round over the berm is a match disqualification. We require a minimum of 650 FPS in all rifle and pistol rounds (black Powder is exempt). We do not permit hip shooting of any firearms. There is no alcohol or drugs permitted on the range. If you are caught with either, you will be banned for one year. If you are caught a second time, you will be banned for life. We share this information to the other clubs in the area. We offer memberships in the "Damascus Wildlife Rangers" for cowboy shooters. These memberships will be outside of the Izaak Walton memberships and do not provide the benefits that a regular IWLA Membership does. However, for people that live a distance away, it is an opportunity to join the club without the expense of a full IWLA club membership. 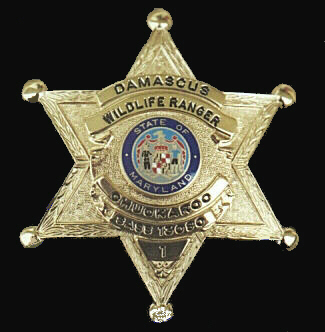 "Damascus Wildlife Rangers" single memberships will be $35, with spouse an additional $20. Young Guns and Buckaroos' (16 and under) are free when added to a parents membership. Members get to shoot the matches at half price ($5 instead of $10) and can order the club badge. All members must be current SASS members. Applications are available at club matches or you can download the Damascus Wildlife Rangers Application, you can fill out the application, while viewing it, and then print it. To view the application, you will need Adobe Acrobat Reader. Adobe is available free here . For additional information, contact Chuckaroo. Members of the Damascus Izaak Walton (Wildlife Achievement Chapter Inc.) automatically become members if the Damascus Wildlife Rangers once they have participated in one of our matches and joined SASS. For full Izaak Walton League membership information, click on Izaak Walton League Membership Information located on the IWLA main page. Membership is on a calendar year. The following sponsors contribute doors prizes, help and assistance to us on a regular basis and have helped make the sport of Cowboy Action Shooting the great family activity that it is. Please make them your first choice when looking for Cowboy Gear. and have now gone to set the stages we will shoot down the road. This and other Wildlife Achievement Chapter pages are always under construction. If you see an error or experience a defective link, please send me an E-mail Chuckaroo. "Adios" or as Curly Bill would say "Bye"